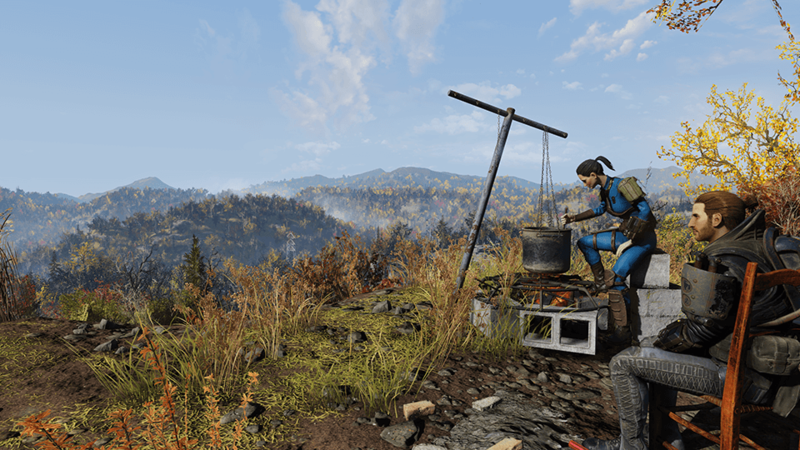 Get all the exam answers for Fire Breathers in the Fallout 76 Into The Fire side quest. Triggered when you reach the Charleston Fire Department, you’ll need to pass the test in order to become a fully-fledged fire breather. The exam tests your knowledge on safety. The questions can also appear in any order. You can also cheat the Fire Breathers exam by searching the station for study materials. Question 1: While traversing a smoke-filled building, your breathing apparatus has failed. Which of the following will serve as the best replacement? Question 2: The tunnel you’re traversing has a begun filling up with a strange gas and you’re without your breathing apparatus. What do you do? Question 3: While exploring a collapsed mine, your team leader flashes their safety light quickly three times. What does this mean? Question 4: One of your squadmates has caught a case of Sludge Lung. Which os the following sets of ingredients, when cooked together, can be used as a cure? Answer:1 pt. Purified Water, 2 Ash Rose, 2 Blight, 2 Soot Flower. Question 5: One of your fellow Fire Breathers has been burned. The area is painful to the touch, but no blisters forming. You’ve applied a cool compress. What’s the next thing you should do? Question 6: You’ve stumbled upon a band of Scorch-diseased people brandishing clubs. Which of the following is the ONLY acceptable method of engaging them? Question 7: You’ve captured a Scorched-infected man who you recognize as a childhood friend. What do you do? Once you’ve passed the Fire Breathers test, you’ll be pointed towards the next stage – your physical exam.